virginia – Own Less. Do More. There are 16 posts tagged virginia (this is page 1 of 4). 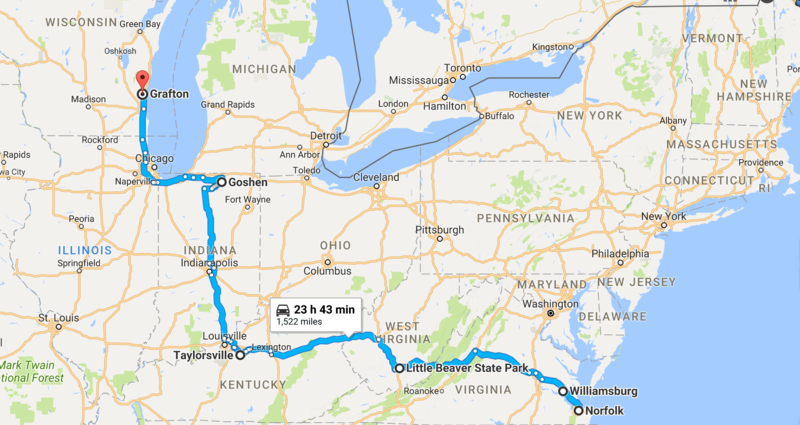 The map’s a bit misleading, because we did some doubling back on parts of I-81, from northern Virginia to just northwest of Nashville, TN, then to southwestern Virginia, followed by the southeast side of Nashville. RV miles traveled this quarter: about 2565. 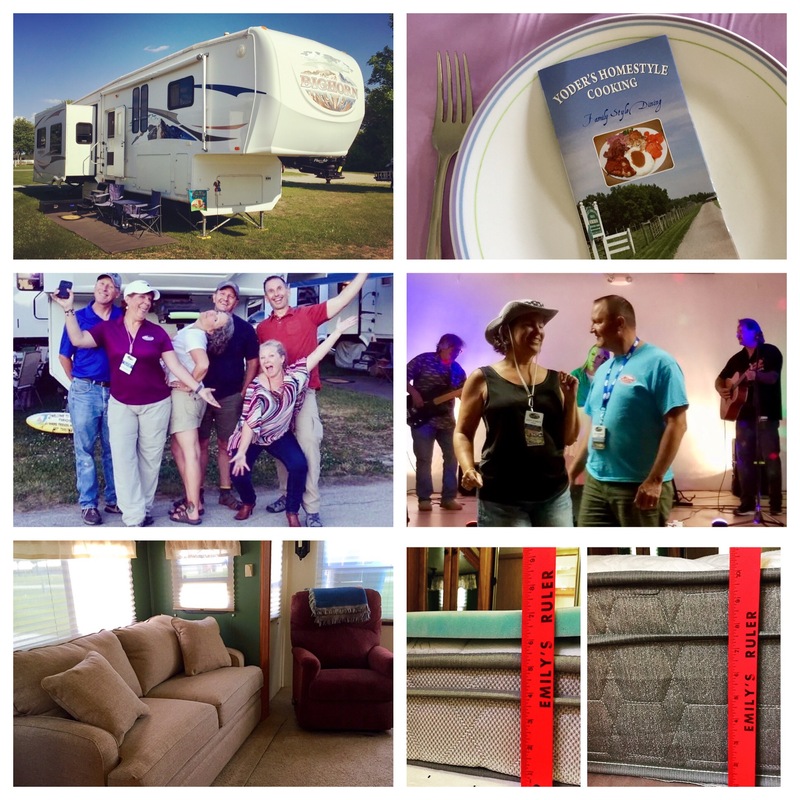 RV miles traveled this year: about 7665. 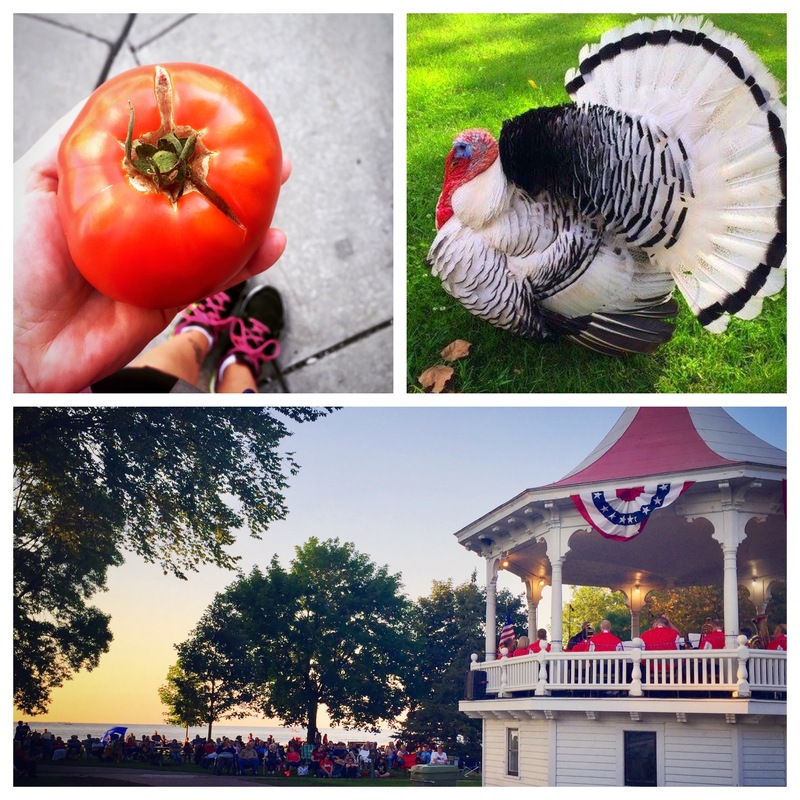 Fond du Lac, WI, June 30 – July 5: What an all-American 4th of July experience we had in Fond du Lac! Not only were there fireworks over Lake Winnebago on a perfect summer night, but the local symphonic band played patriotic tunes in the lakeside bandstand, which has been home to these concerts since 1901. It was like going back in time to a much simpler era, when entire communities showed up to make the most of holiday celebrations. We also took in the weekly farmer’s market, and I got to visit with an old friend in her new life on a small farm. She’s got chickens, horses, acreage, and hay bales, and I got to meet Olive, the turkey. He’s a very patriotic looking fellow himself! St. Ignace, MI, July 5-9: Ohhhhh. The upper peninsula. Now we get it. 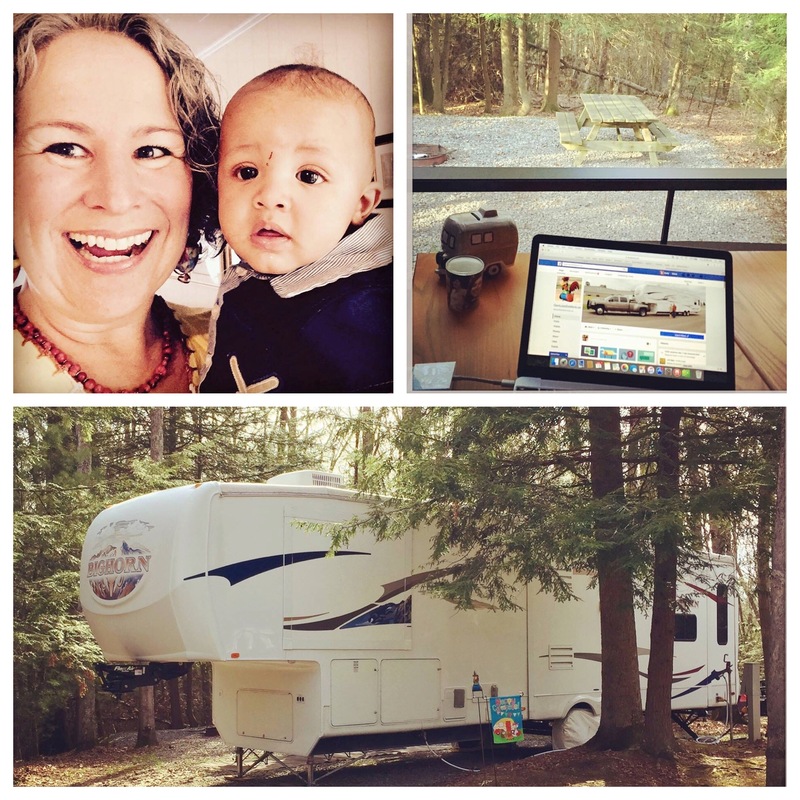 Summertime in northern Michigan is indeed worth singing about (see Kid Rock video) and although we crammed a lot of sight-seeing into our 4-day stay, it didn’t feel long enough. 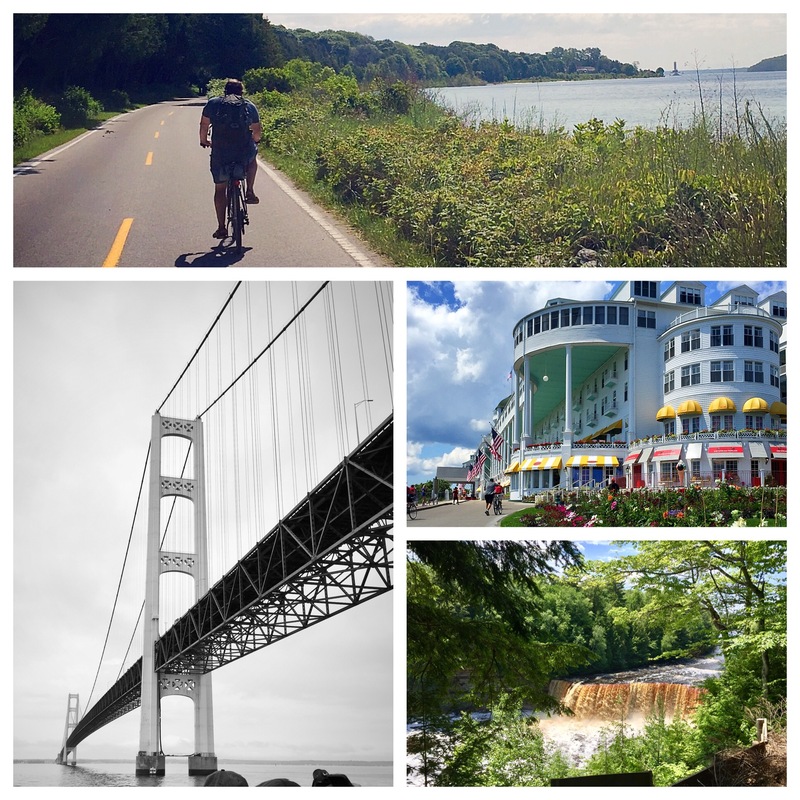 We took the ferry from St. Ignace to Lake Huron’s Mackinac Island — home to the Grand Hotel (remember the movie “Somewhere in Time“? ), famous fudge, fantastic bike riding, and no motorized vehicles. That’s the famous Mackinac Bridge on the lower left, which we crossed under on the ferry, and over in the RV. Luckily, we had a wind-free day for that! 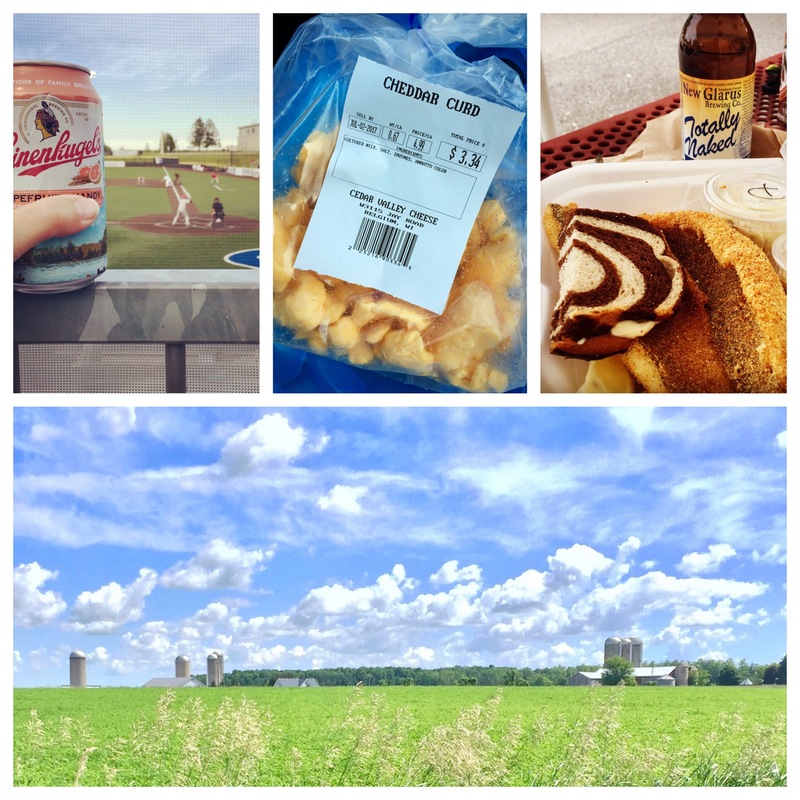 On the lower right is our reward for hiking 9.2 miles at Tahquamenon Falls State Park. Erie, PA, July 10-24: The youngest cousin at our kids’ level on Tim’s side of the family tree graduated from high school this year, so we rolled to Pennsylvania to help celebrate, with more family members than we could count. Let’s hear it for reunions! We also took advantage of our first “mooch docking” opportunity, and parked for free in a cousin’s driveway for a week. Other celebrations included Tim’s birthday, and a milestone wedding anniversary for us. Can ya guess which one? 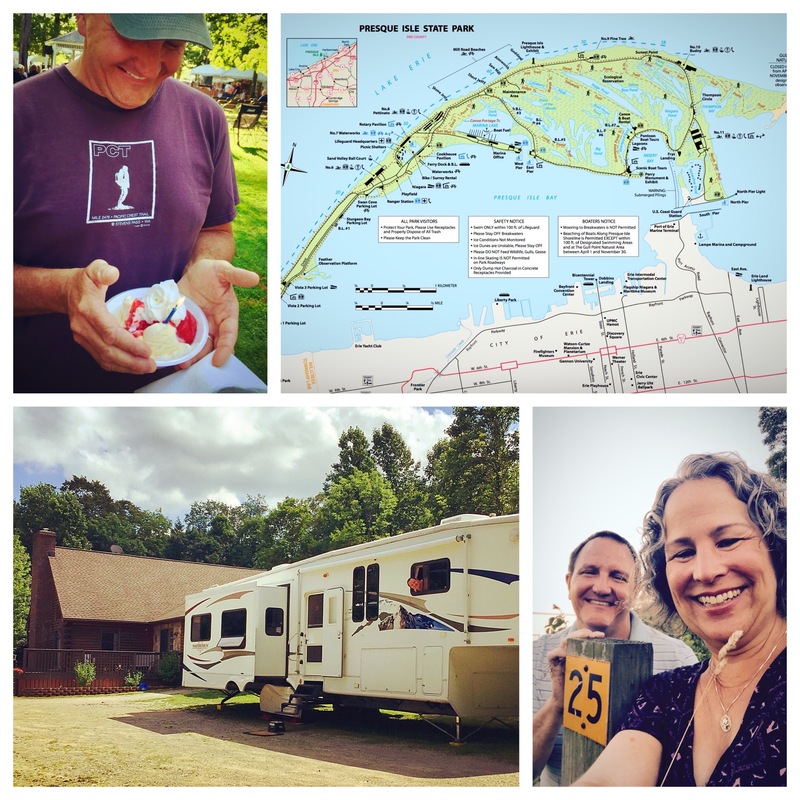 Upper right: a map of Presque Isle State Park. We biked the 14-mile perimeter, and checked off our third Great Lake for the summer. In June and July, we hit points on Lakes Michigan, Huron and Erie! 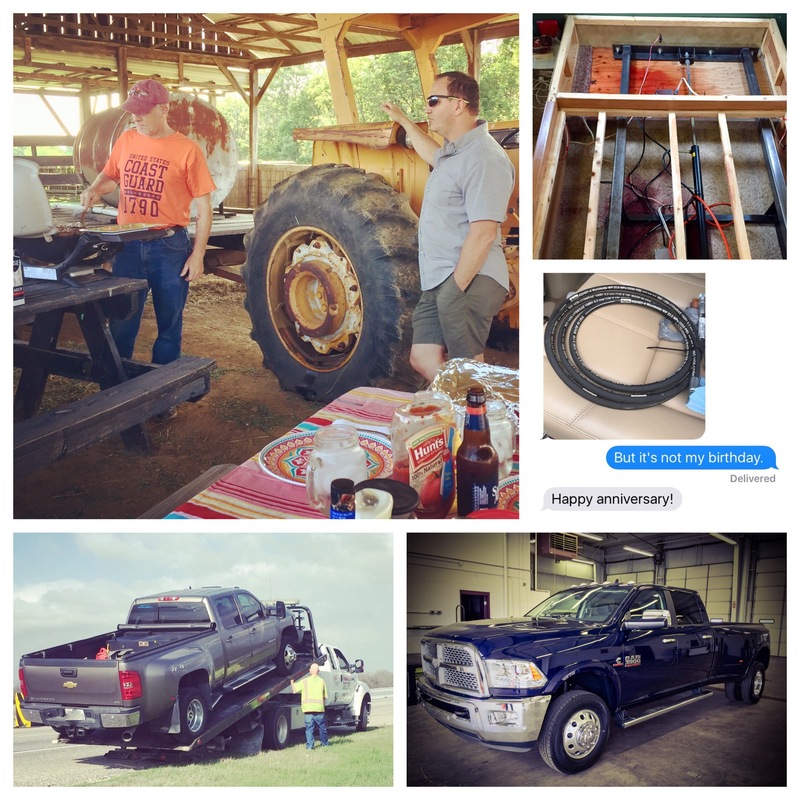 Haymarket, VA, July 24 – Aug 8: Here’s the deal. 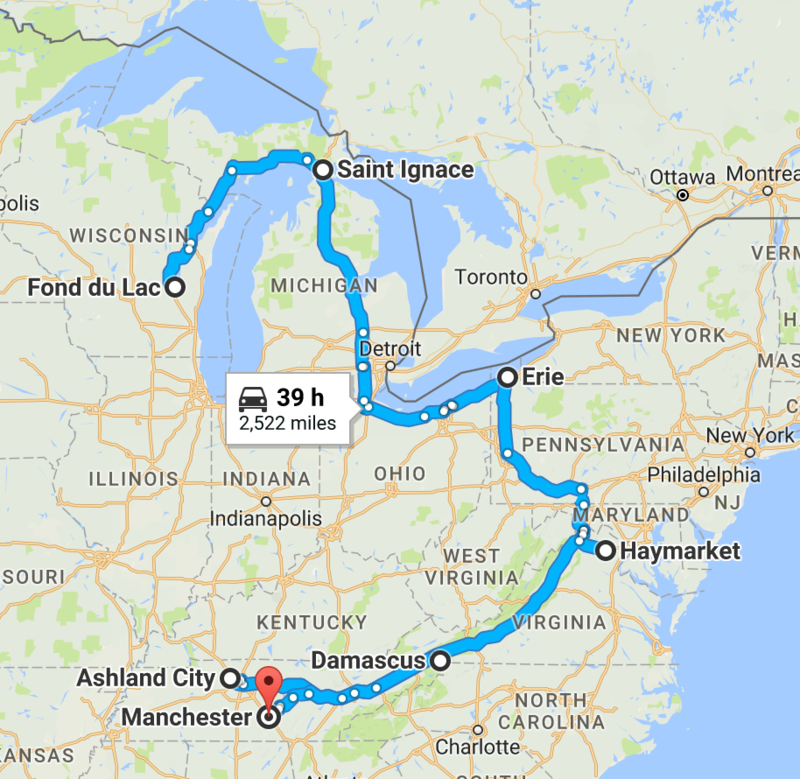 Tim’s parents wanted to take him on a birthday trip to the Netherlands. And since we could pick any airport for his embarkation point, we chose one in a part of the country where I had lots of friends to play with. And play I did — with Army, Navy and Air Force friends from several of our prior duty stations, as well as with a fair number of high school friends. Some live in the MD/DC/VA area, and others showed up at my 30th high school reunion in Frostburg, MD. 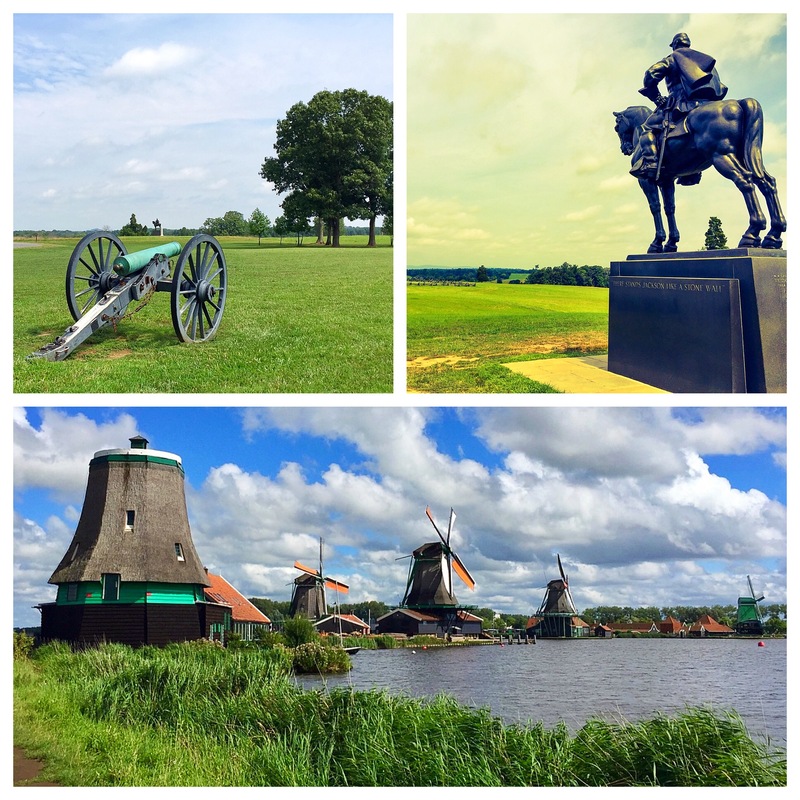 I didn’t ask any of them for permission to share their photos here on the blog, so you get two of my photos from my day exploring part of Manassas National Battlefield Park, and one that Tim’s dad took in the Netherlands. That’s General Stonewall Jackson up there on the right, rendered in, ummmm…, stone. 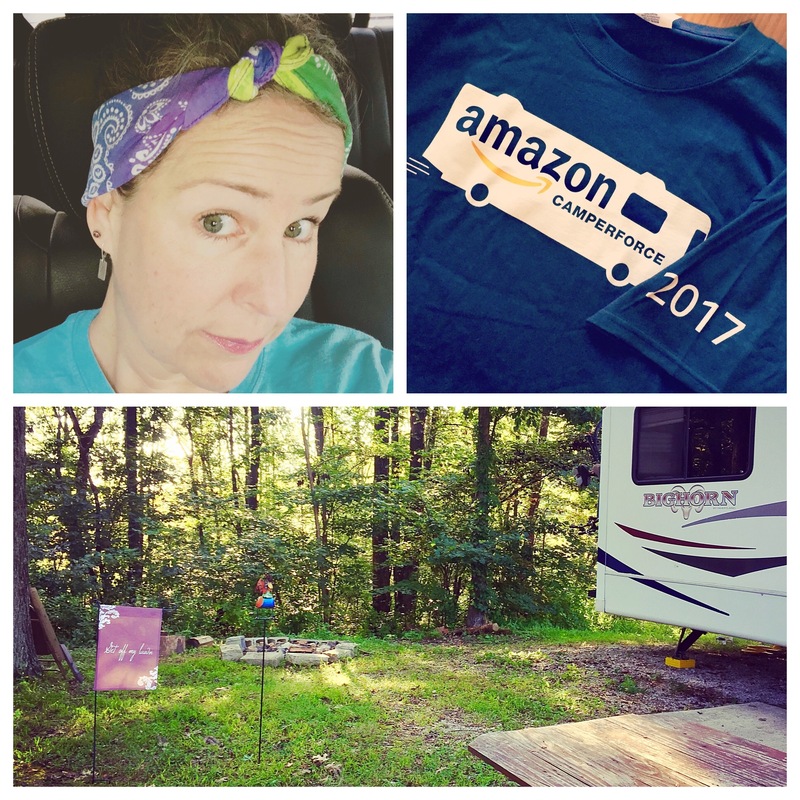 Ashland City, TN, August 9-22: One of us was very, very excited about the total solar eclipse on August 21, and insisted on booking a campground as close to the path of totality as possible. The other was just along for the ride. 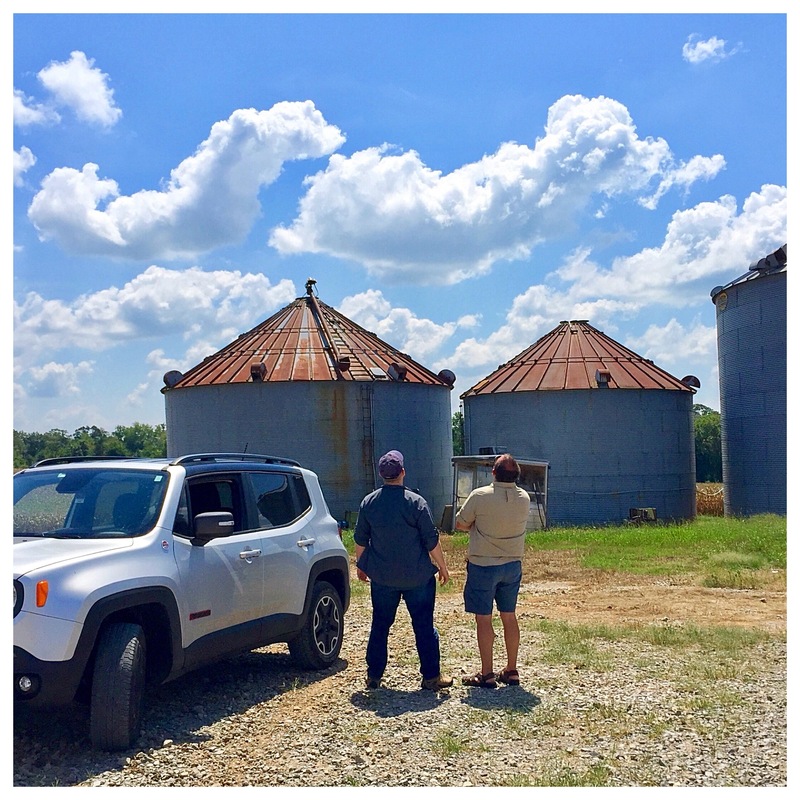 But an old shipmate of Tim’s drove down from Boston to view the spectacle with us, so I had the pleasure of watching those two 50+ men act like little boys on Christmas morning, as we stood in the middle of a cornfield in Springfield, TN, waiting for it to go from light, to dark, and back to light again. All they lacked were feetie pajamas. Is it time yet? Is it time yet? 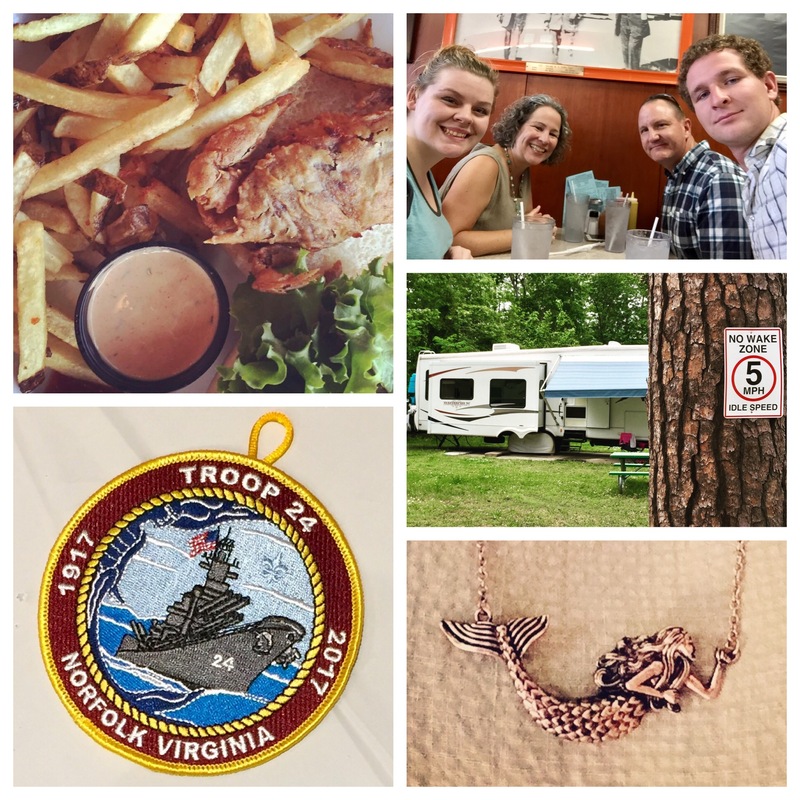 Damascus, VA, August 23 – Sept 18: We spent almost a month in Trail Town USA, so that Tim and a friend from Norfolk could tackle a 7-day hike together on the Appalachian Trail. I used the first week to fly to San Antonio for my regular round of 6-month cancer appointments, and plenty of check-in time with family. This also happened to be when Hurricane Harvey hit Texas, and we watched, horrified, as my brother’s hometown of Port Aransas was nearly wiped off the map. His family, their pets, and their house made it through, and their town will too, but it’s going to take a years-long, arduous effort of cleaning, restoring, and rebuilding. Top left: Yet another visit to the mammography clinic’s changing room. All clear! Top center: My parents taking our younger son grocery shopping the day before fall semester classes started at UT-Austin. Top right: Tim & Greg starting their hike. Bottom: just a tiny part of the scenic Virginia Creeper Trail. It took us two visits, two years apart, but we’ve now biked the entire 34 miles — some of them twice. I wrote about the first half here and the second half here. Manchester, TN, Sept. 18 – Christmastime: I’d say “here we sit” in Tennessee again, but we’re really not doing all that much sitting. 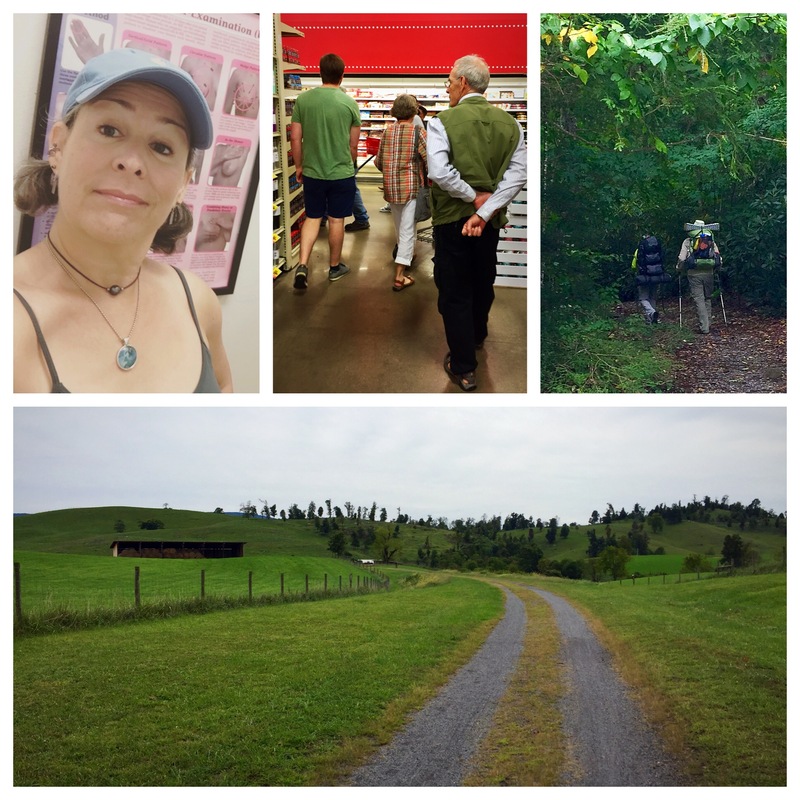 We’ve taken on seasonal jobs as pickers at the Amazon fulfillment center in nearby Murfreesboro, and after two weeks of work, I’ve walked 65 miles! 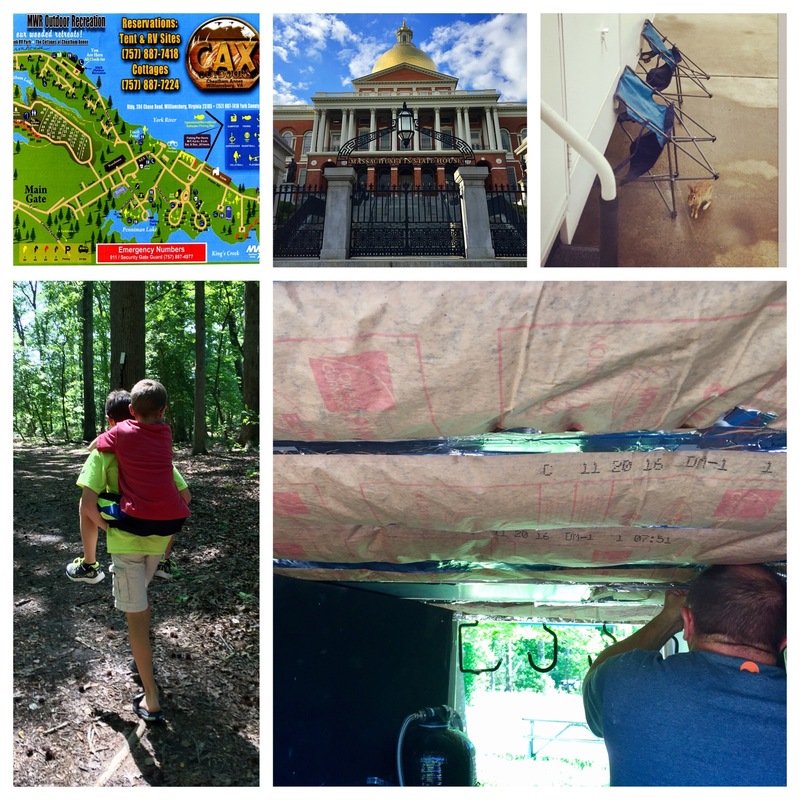 I blogged two weeks ago about why we did it and what we expect from this adventure with the CamperForce program, and I’ll post an update on how it’s going when we reach the halfway point. My typical “work hair” style channels my inner Rosie the Riveter. That’s the official t-shirt on the upper right, and our back yard for pretty much the rest of the year on the bottom. For now, here we don’t sit, and the current plan is to make our way back to San Antonio after we’re done working. Not sure we’ll make it before Santa Claus arrives, but we’ll definitely have done our job as elves this year!